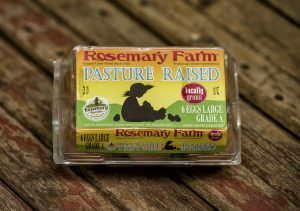 When Freshness Matters, Choose Rosemary Farm. 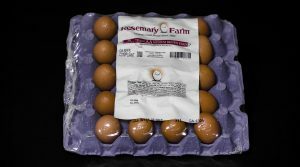 Rosemary Farm produces and distributes an assortment of eggs to meet the needs of both our retailers and the consumers. Rosemary Farm eggs are produced by a cooperative of farm families. 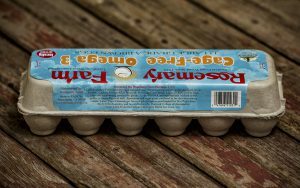 Our operations focus on healthy, happy hens, including new enrichable colony systems and locally grown vegetarian feed that never includes animal by-products. 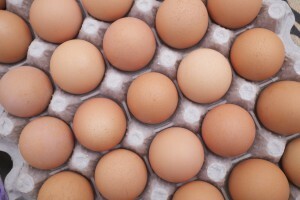 Our eggs are never stored or overstocked before processing. 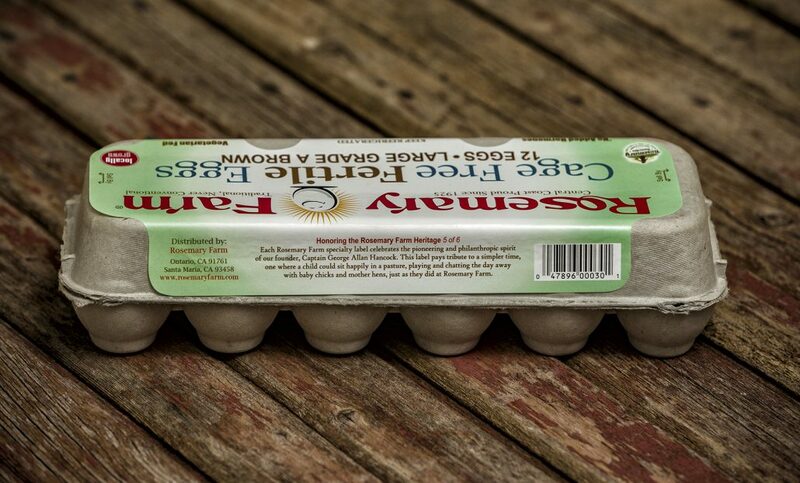 Instead, they are delivered fresh, meaning the eggs we produce are some of the freshest available locally. Available in 12 packs, 18 packs, Overwraps and Loose. Available in Overwraps and Loose. Available in 12 packs, Overwraps and Loose. 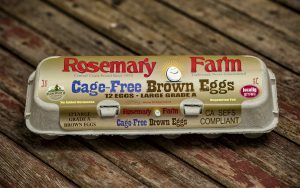 Our Rosemary Farm Cage Free Eggs are laid by hens kept in spacious pens where they can roam, scratch, perch, and nest as they please. Our Cage Free hens are only fed natural grains and have no animal byproducts in their feed. 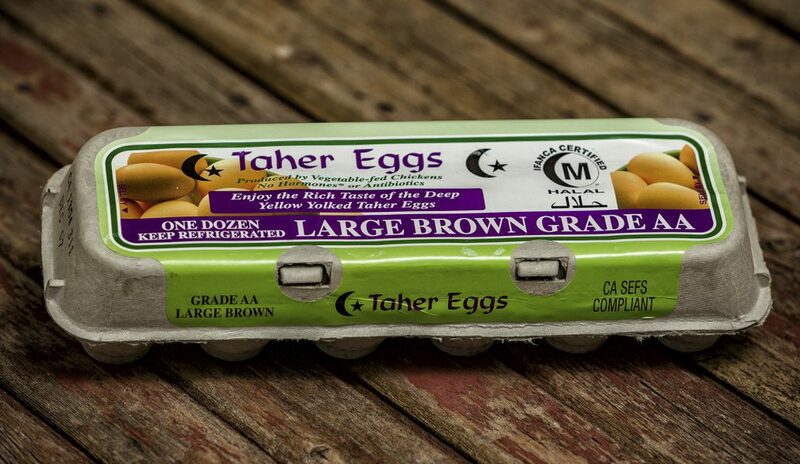 All of our chickens have access to clean water and fresh bedding at all times. 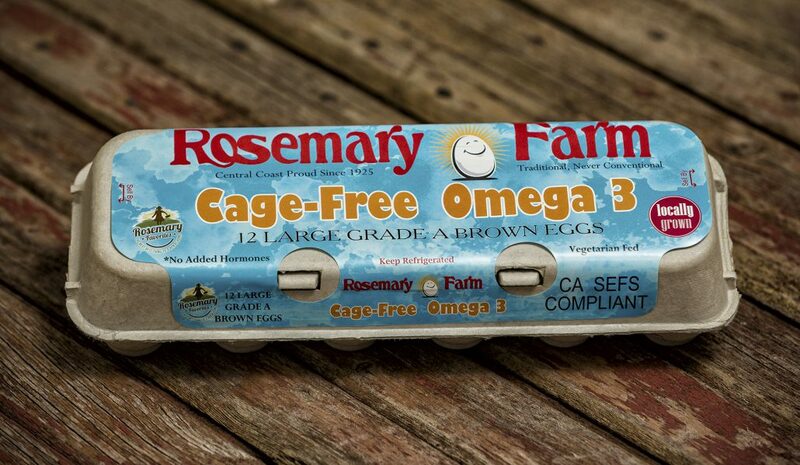 Our Rosemary Farm Cage Free Omega-3 Eggs are fortified with flaxseed goodness. Our hens are kept in spacious pens where they can roam, scratch, perch and nest as they please. They have access to clean water and fresh bedding at all times. So what does this all mean for your health? Omega-3 fats help your brain function properly and are necessary for proper growth and development. They also reduce inflammation and may reduce the risk of heart disease, cancer and arthritis, according to the University of Maryland Medical Center. 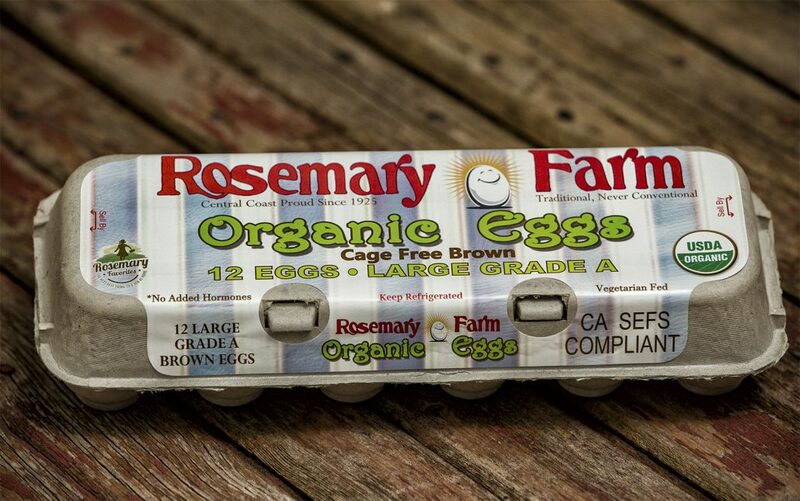 A normal Rosemary Farm egg contains about 93 mg of Omega-3 Fatty Acids. 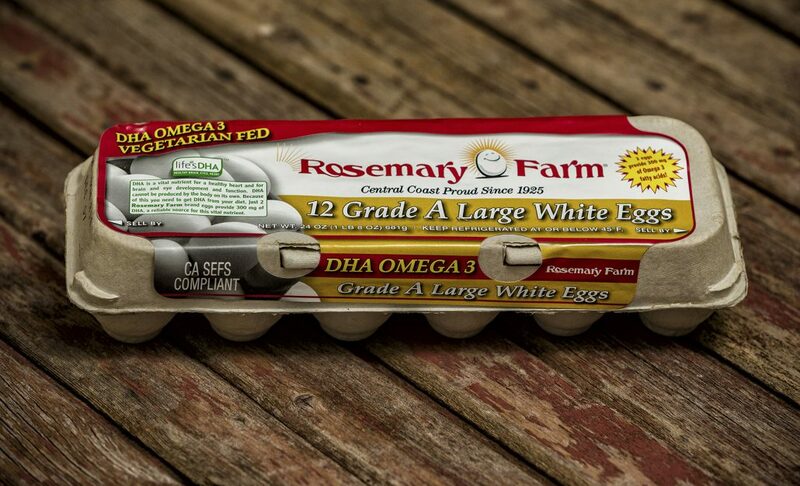 Our Rosemary Farm Omega-3 Eggs contain 225mg! 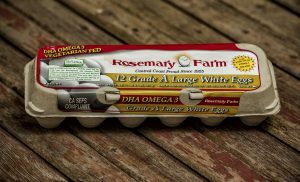 If your overall diet is lacking in omega-3 fats, our Rosemary Farm Omega 3 Eggs will offer a convenient way to boost your consumption. 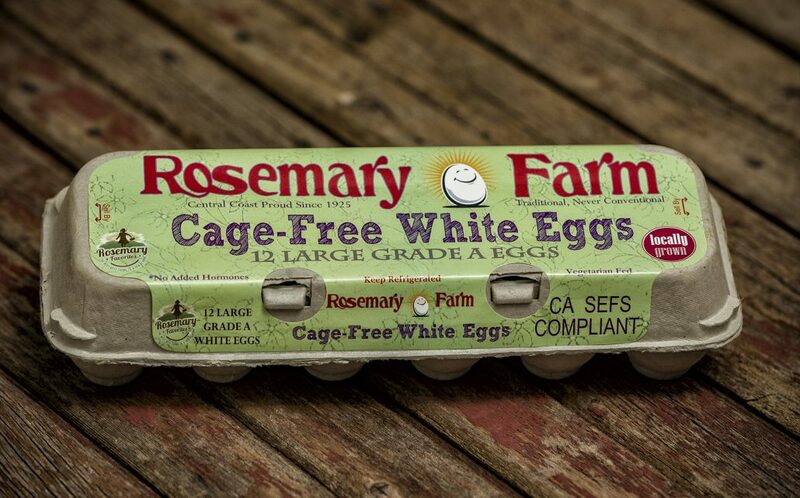 Our Rosemary Farm Cage Free Organic Eggs come from free roaming hens raised on 100% certified organic feed. 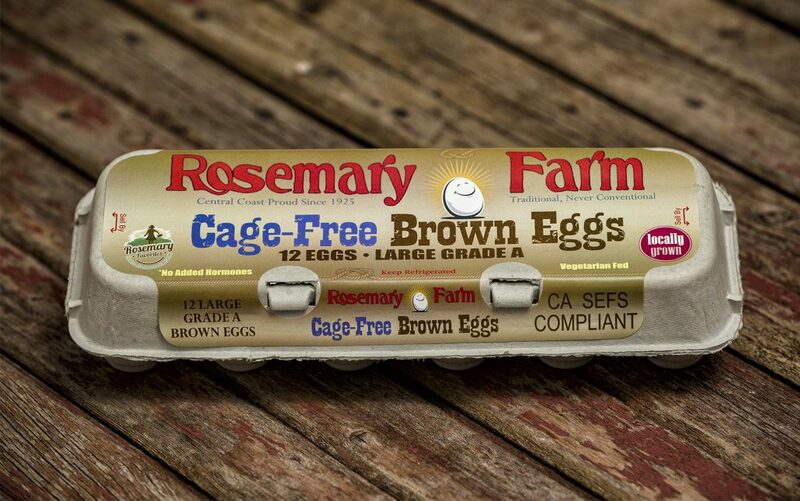 Our Cage Free hens are only fed natural grains and have no animal byproducts in their feed. 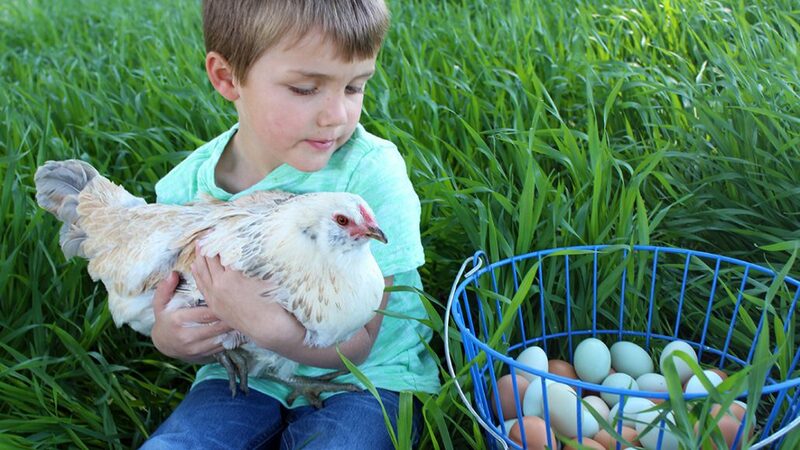 Our chickens have access to clean water and fresh bedding at all times. 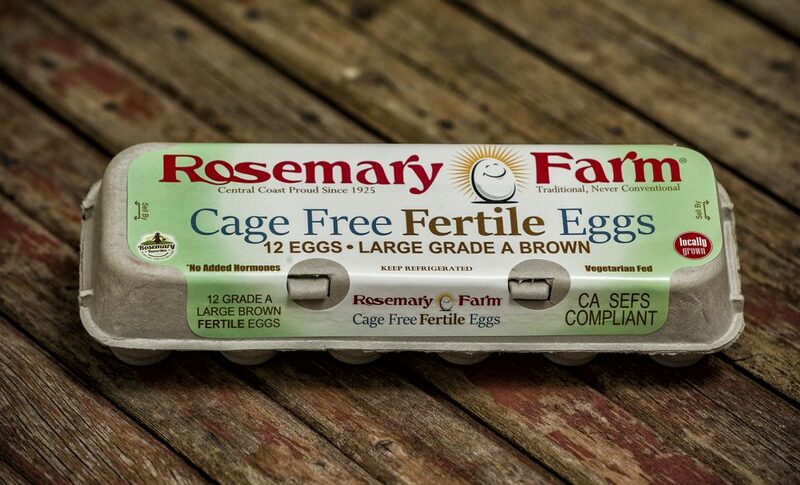 Our Rosemary Farm Cage Free Fertile Eggs are produced by hens roaming with roosters. 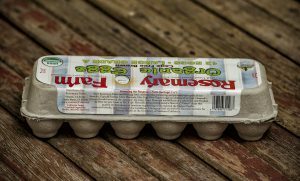 Eggs are laid by hens kept in spacious pens where they can roam, scratch, perch, and nest as they please. Our Cage Free hens are only fed natural grains and have no animal byproducts in their feed. 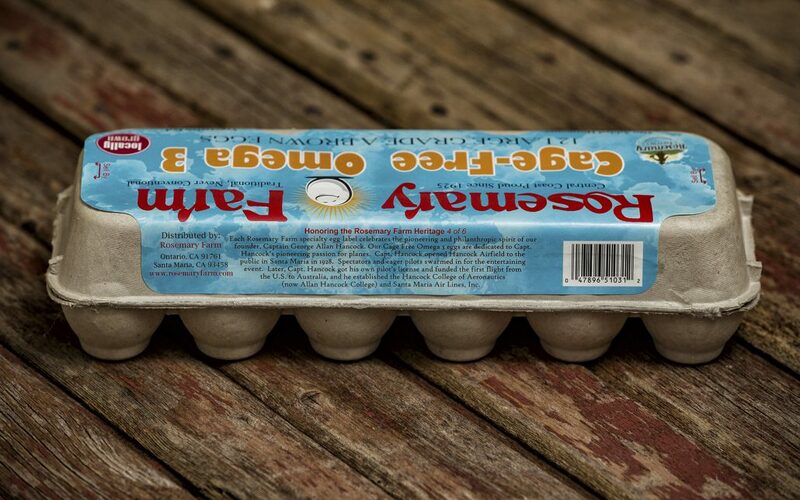 All of our chickens have access to clean water and fresh bedding at all times. 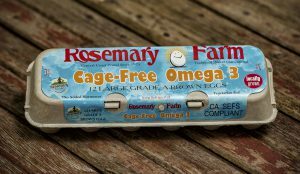 Our Rosemary Farm Cage Free DHA Omega 3 Eggs are a great tasting means of adding Omega 3 fatty acids to your diet. 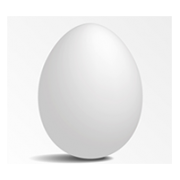 Two eggs provide 300 mg of DHA Omega 3 to your daily diet. DHA Omega 3 is important to the normal development of brain, eyes, and nerves. 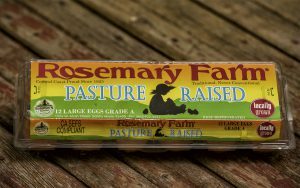 Our Rosemary Farm Taher Eggs are certified that the feed consumed by the hen contains no animal byproducts and that no antibiotics or hormones are added to the feed. 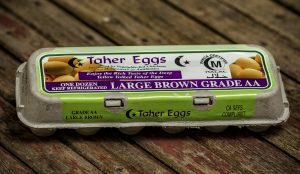 Taher Eggs are the only IFANCA (Islamic Food and Nutrition Council of America) certified eggs available in the market today. 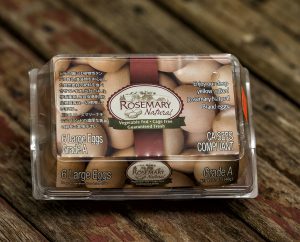 Enjoy our deep yellow yolked Cage Free Rosemary Natural Brand eggs. 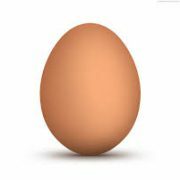 Our chickens are naturally fed only vegetable proteins and sea kelp. We NEVER use pesticides, hormones, or antibiotics. 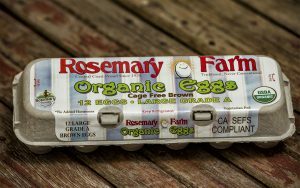 Our Rosemary Natural Brand eggs are offered in English, Korean, Japanese and Chinese labels to suit our customers’ needs. 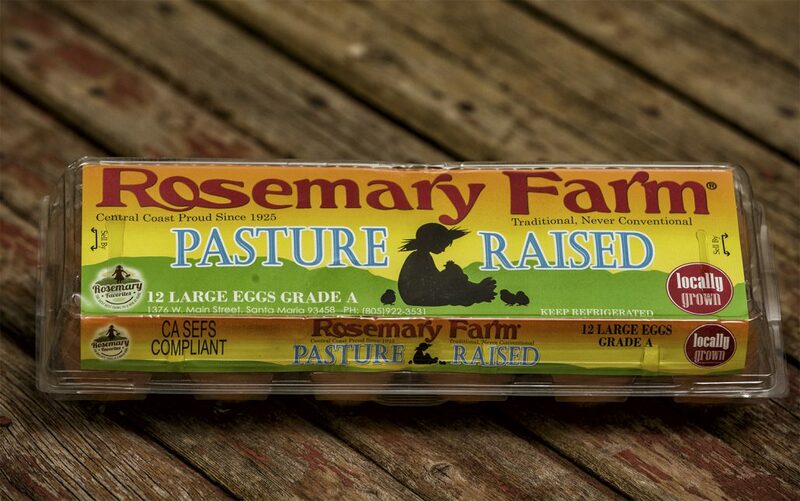 Our naturally-colored pasture raised eggs are produced by a cooperative of local, Central Coast Farmers. 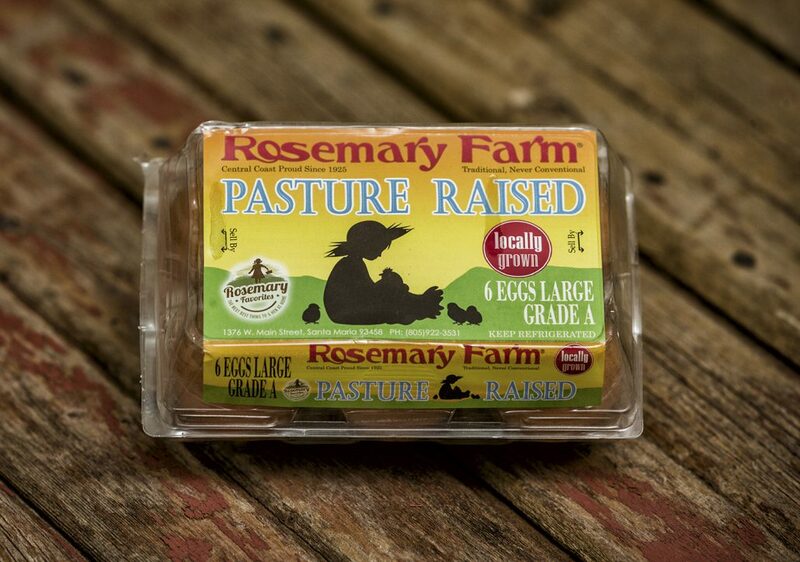 Our farmers follow Rosemary Farm’s high standards in regards to sustainability, safety and health of our birds. Our girls roam throughout the pasture, bask in the sun and take soothing, dirt baths. They forage on their favorite foods: seeds, green plants, insects and worms. 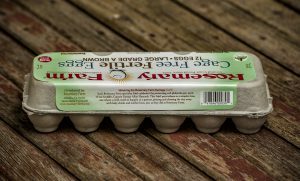 In addition, we furnish our hens with all-natural, vegetarian feed rich in protein to ensure they stay strong and healthy. Available in 6 and 12 packs.